The Grade II* listed branch of Lloyds TSB unexpectedly announced it was to close its doors last week and now seems likely to become yet another bar, raising concerns at the changing character of central Bristol. 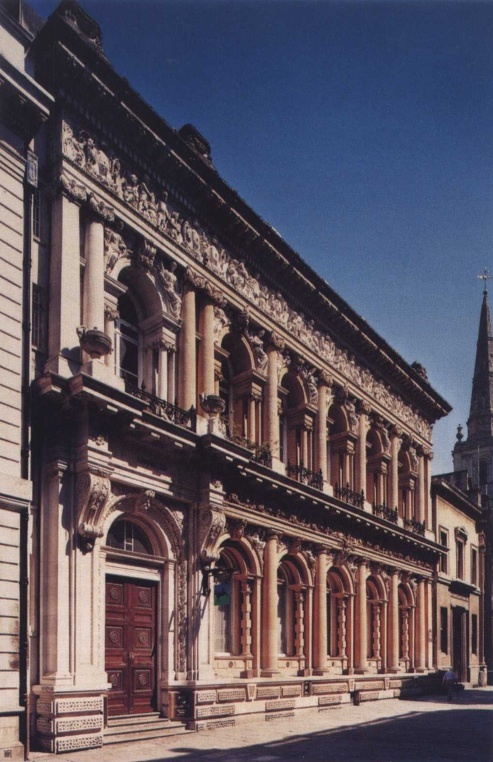 Designed by WB Gingell of Gingell and Lysaght in 1845, who modelled it on Sansovino’s St. Mark’s Library in Venice, it was originally built as the HQ of the West of England and South Wales Bank. Described in Bristol: An Architectural History by Gomme, Jenner & Little as “marching with astonishing swagger” and in the English Heritage listing as “one of the finest compositions of its type in the country”, the façade is richly adorned with sculpture by John Evans Thomas – or at least produced under his direction, as Thomas was then working on the Houses of Parliament.